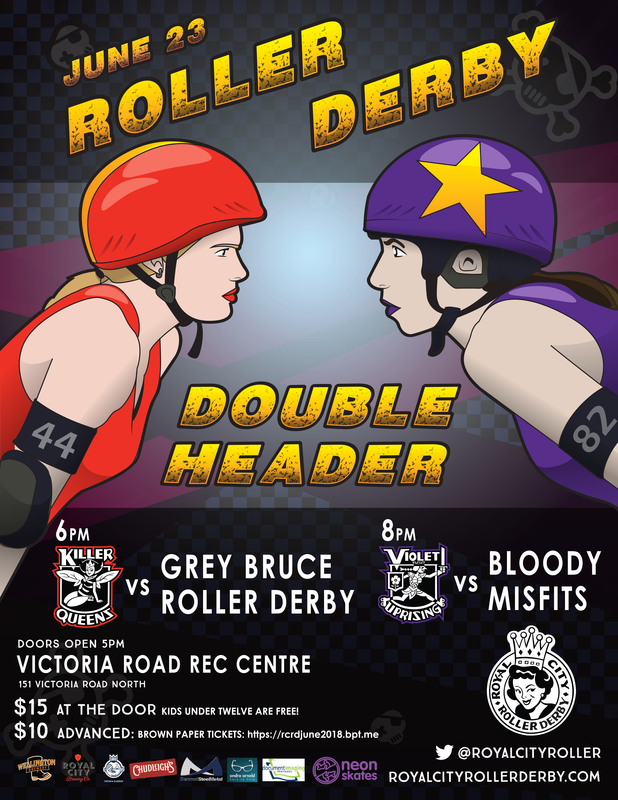 Royal City Roller Derby’s home teams are thrilled to take the track against Grey Bruce Roller Derby – Highland Dames and the Bloody Misfits (Wellington Roller Derby and Roller Derby Misfits)! IMPORTANT: We will be honouring tickets bought online for our cancelled April 14th bout! – This is a fully accessible event. There is a step to get on to the ice pad, and alternative access is available for those in need of a ramp. – The space is quite large, made of concrete, and can be loud and boom-y. Ear plugs will be available at the merch table. – There are men’s and women’s washrooms on all floors. – Chairs will be provided at a safe distance from the track. If you would like to sit track-side, please bring a blanket or chair. NO PROBLEM! 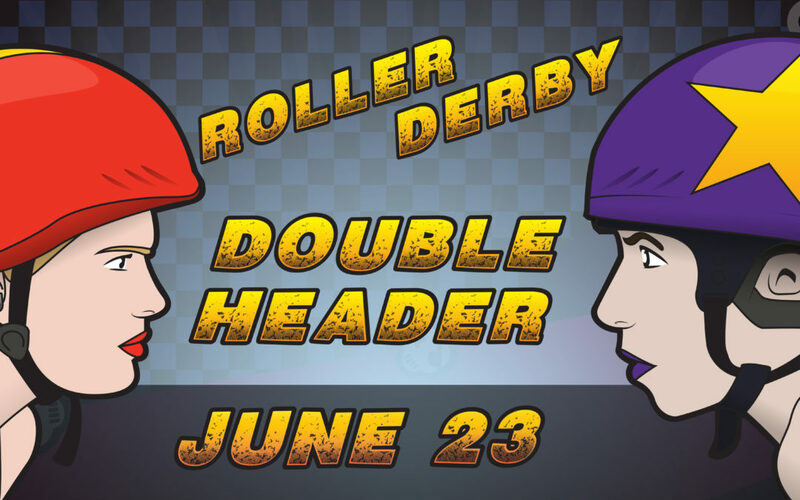 We warmly welcome folks who are experiencing roller derby for the first time. Look for individuals holding “Ask Me About Derby” signs of just ask around – there are lots of friendly skaters who are happy to share their love of this great sport! This is a licensed event with tasty beverages from Royal City Brewing Company and Wellington Brewery that you can enjoy trackside. Snacks and non-alcoholic beverages are also available for purchase.